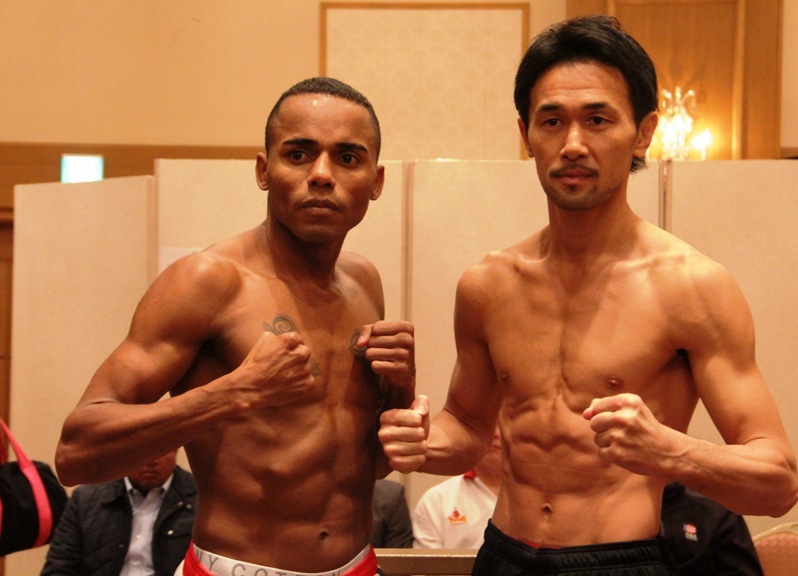 Unbeaten WBC bantamweight champ Shinsuke Yamanaka (24-0-2, 17 KOs) will participate in his tenth defense when he faces former WBA 115-pound ruler Liborio Solis (23-3-1, 10 KOs), Venezuela, tomorrow (Friday) in Kyoto, Japan. On the same bill, his stablemate Yu Kimura (18-2-1, 3 KOs) will put his WBC light-flyweight belt on the line against Mexican veteran Ganigan Lopez (26-6, 17 KOs) over twelve rounds. At the weigh-in ceremony, Yamanaka scales in at 117.75 pounds, while Solis at 117.5. Kimura tipped the beam at 107.5 to 107 for Lopez. This card is presented by Akihiko Honda’s Teiken Promotions.